Catania, 이탈리아의 B&B 글로브트로터 카타니아 | 호스텔월드에서 예약하세요. 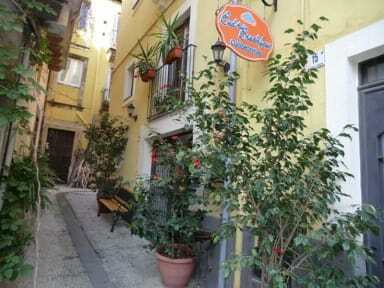 Globetrotter Bed and Breakfast Catania is an antique building that has been recently renovated. Its located in the historical center of Catania, between the old fish market and Ursino castle, 200m from the Dome, cathedral and Via Etnea. You will find a hotel quality and warm homely atmosphere. 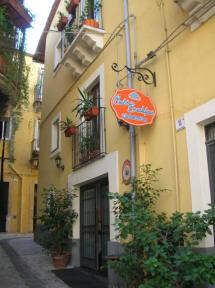 Globetrotter B&B is within walking distance from main monuments, restaurants, pubs, and discos. The B&B is 15 minutes from the airport by car and 5 minutes from railway station and port. Our rooms are very comfortable with the following facilities: ensuite bathroom, air conditioning, TV, DVD, free wireless, regular internet, and hairdryer.